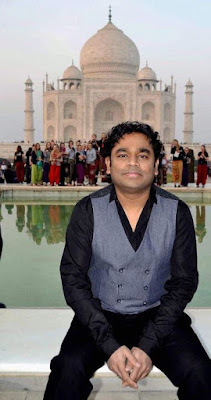 While many foreign tourists who had come to see the Taj huddled to get a glimpse of the Indian Film Star, they were clueless about who he was. When told that he had won the Golden Globe and Academy Awards for composing the music of Slumdog Millionaire, they said they knew of him but didn’t know he was the one. “I’m so happy to know that people know my music more than me. That is what I’ve always wanted. I’ve dedicated my life to music and that is the way it will be,” said the 45-year-old to this. Rahman landed in a chopper two hours late, but apologised to the crowd. The composer, accompanied by the film’s cast and director Gautam Menon posed for photographs at the Taj but did not get permission to perform there.